He’s a highly influential businessman, chief executive of a successful communications company and a well known media personality seen regularly on shows Gruen and The Project. 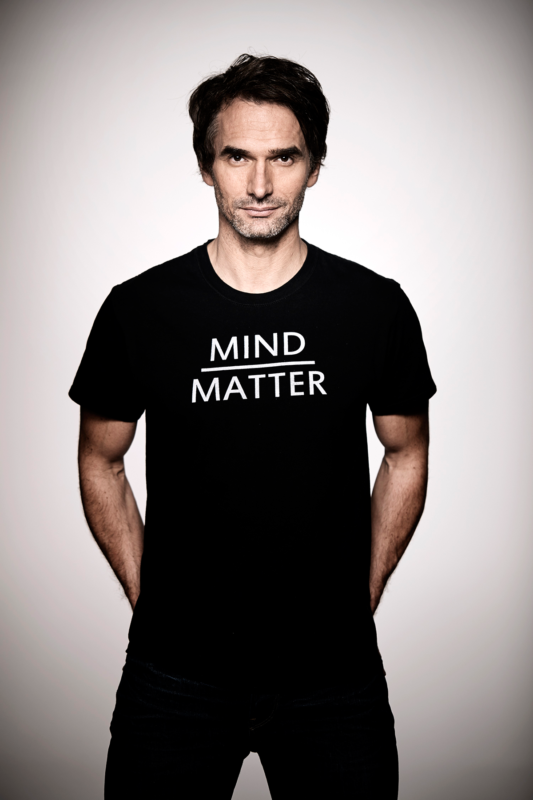 Now Todd Sampson is putting his body on the line all in the name of science. Not many people can say they have stepped into the ring to face off against a world champion mixed martial arts (MMA) fighter, but with just two weeks of training and a camera crew in tow, the experience is just one of many crazy stunts Todd Sampson puts himself through in a new series set to premier this month on Ten. Body Hack will see media personality Todd go through the ringer, pushing his mind and body to its limits as he meets some of the world’s most incredible and extreme people, and investigates the science behind what they do by putting himself in their shoes. It’s a fascinating concept, and one that ties in with our October issue’s theme of ‘Health’, so to find out more about the inspiration, or as some might say, madness behind the idea, I sat down for a chat with the man behind the series himself, Todd Sampson. profile: Body Hack seems like an amazing but terrifying premise – can you tell me what inspired you to put yourself on the line that? todd: I wanted to do a show that was an adventure show and a science show, and in a way, I was trying to create a new genre. And I believe the only way to get to know these extraordinary people is to step in their shoes and try to become them. I’ve regretted that decision many times, as you will see, because it did involve a lot of punishment and pain – it was a lot of fun, but but there were a lot of very full on situations. That’s the premise of the show though – it’s that we can learn a lot from people that live on the edge. We can find what they do slightly distasteful or disturbing, but I wanted to go there and experience it first hand. profile: How did you decide what challenges you were going to take on? Was there a method to the madness? todd: It was a matter of working backwards. I wanted to do something on resilience, so I looked at who would be the best for that and the French Foreign Legion are known for it. I wanted to do something on altitude, so that was easy – sherpas. And it worked like that on and on – I wanted to do something on diet and digestion, so the Hadza are considered to have arguably the best diet in the world or the best stomach in the world. So I kind of worked on the science backwards because I thought it would be more relevant to people. And then we just made sure we spread it out so we went to different parts of the world, because it’s a Discovery science show as well as a Channel Ten show. profile: The synopsis of the series is that you’re putting yourself in this position to ‘unlock the secrets of some of the world’s most extraordinary people’ through science – can you explain how putting yourself through these challenges helped unravel that science? todd: I think it’s really easy to observe people, but the best way, I think, for an audience to really get a feel for what it’s like is from the inside and so that’s the reason to do it, as opposed to watching it. For example, when you talk about mental toughness and the French Foreign Legion, I could go there and observe them and take some shots of them and explain the science, or I could go there and do it – actually do what they do – and then the audience can see, not necessarily what you’re telling them, but they can truly see what happens. profile: It sounds like you’ve been able to meet some pretty extreme people for this project. Can you tell me about some of the standouts? todd: There were lots. You’ll see in the fighting episode that I got nearly knocked unconscious by a three-time world champion female called Michelle Waterson – her nickname is ‘The Karate Hottie’, which she explained to me happily off-camera that she got when she worked at Hooters before she became a professional fighter. And she was phenomenal; she had her mum there and her daughter there, and she’s an incredible fighter, which is surprising when you meet her. She was amazing. Then there’s the captain in the French Foreign Legion – he was born in Alabama but he lives in France, and he was incredible! There’s a moment when I asked him about killing. It was around a campfire at night and we were all beaten down, and I said to him, “How do you justify your in your mind the notion that you would have to kill someone that you don’t even know?”. And he just looked at me and said, “I never ask the question”. Then there’s Subin, the guy in Borneo who can dive down to the bottom of the ocean. He can dive 20 metres down with no weights, in his underwear, and walk along the bottom for just under four minutes. It’s just endless – there were extraordinary people everywhere, and I felt like I had these kind of eclectic teachers, who would just take me in and because I wasn’t there to judge them or I wasn’t there to just watch them, I was there to give it a go, they really welcomed me. profile: What was the craziest situation you found yourself in while filming? todd: Stepping into a cage in front of 2000 people after two weeks training beside a professional fighter was definitely one of the craziest things I’ve ever done in my life. It doesn’t end well for me, as you can imagine, but that was a crazy, crazy thing to experience. And the French Foreign Legion was something I did not expect – they punished me to show me toughness and teach me a lesson. I wanted that to end every day, but I just forced myself to keep going. I got injured on day one; I burnt all the skin off my hands and I was bleeding for the first two days of the course, so that was tough. profile: Do you have a favourite experiment? todd: Weirdly enough, my favourite was the hardest – the French Foreign Legion. At the time it was the one I hated most, but now I look back, it’s the one where I learnt the most. todd: Yeah, pretty much in every episode. I’ve tried more in the last year of filming than I have in the last 10.
profile: You’ve had a huge amount of success with Redesign My Brain – is BodyHack an extension of that? How is it different? todd: Not really – it’s an extension in the fact that it’s a science show and it’s an adventure show, and it is similar in that it all leads back to the brain. But it’s different in its format, in its design. It’s more about them than it is about me; I’m there to be a part of it and learn from it, but it’s really about them. profile: Your background is in business and you’re the head of a communication company, so how did you get drawn towards science on such a large scale? todd: I was a science nerd. I’ve loved science since I was in grade six. I had a science teacher named Mr Risk and it was the only thing in school that I enjoyed. But I grew up in a family that didn’t have a lot of money and my belief was that science would never get me financially independence. I was naïve really. So I focused my energy studying business rather than studying what I really wanted to do, which was probably get a medical degree. 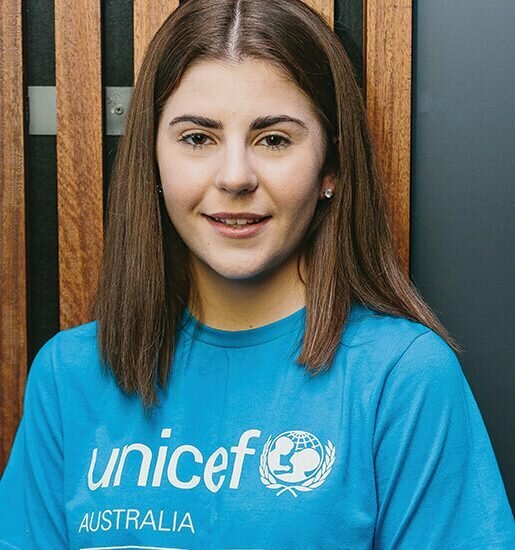 I’ve always been interested in science anyway, so I made a decision that I liked science education and I thought that I could make a difference in this space and get young people interested in science, because science is the language of our lives and it should have more focus. I’m just very fortunate to have the platform. profile: Why are these kinds of projects so important to you? todd: The shows are on in 50 countries or so on Discovery (Channel) – so if you’re fortunate enough, and I am, to have this global platform, I want to use it for something beyond entertainment. I want to use it for something that hopefully is useful to people. So I’ve always chosen or written shows that I’ve thought have an educational element, an entertaining element and an adventure element, because I think people often want to be entertained as well. I’ve always used science as the language and adventure as the journey. Watch as Todd Sampson puts his physical and mental strength to the ultimate test, when the gruelling, entertaining and educational new series BodyHack premieres at 9pm, 4 October on Ten.